Blessings Bags is the name of a ministry that Prairie Lutheran Church is adopting this year. It is not unique to PLC but it is in total alignment with this year in which we are celebrating the Holy Habit of Giving. God created us in His image and therefore we were outfitted to be generous. In Christ we discover we have the courage and faith to live out our calling of generosity. More than enough. That’s what Jesus teaches us. There is always more than enough to go around. When he saw the hungry crowds on a hillside in Galilee, he had compassion for them. Jesus found that there were a few loaves of bread and a few small fish. Those elements were more than enough. the people. Compassion is a community endeavor. As the Body of Christ, we become the Body of Christ for the world. That means there is more than enough, because Jesus never runs out! This winter, we are gathering on two Sunday mornings to celebrate and put the Holy Habit of GIVING into action. 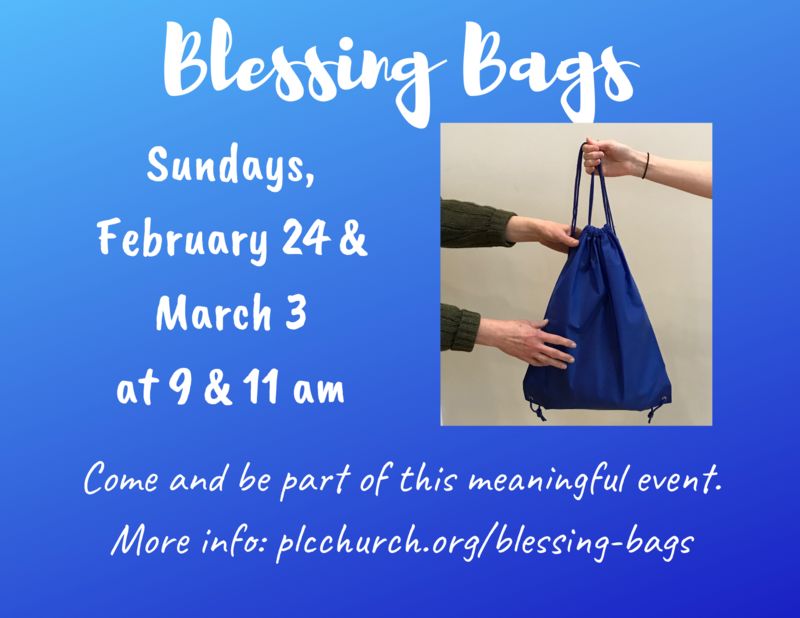 On February 24 2019, worshippers will begin to fill hundreds of Blessing Bags. On Sunday, March 3, worshipers will take these Blessing Bags and put them in their vehicles. The purpose is to be ready whenever one encounters a homeless or hungry person with a bag filled with essential items of assistance. We are the hands and feet of Christ. And this year we will be given the equivalent of loaves and fishes in the shape of Blessing Bags. We will be equipped to distribute the grace of God in a Biblical act of kindness!